Places of Fancy: Where Was 'Downton Abbey' Filmed? 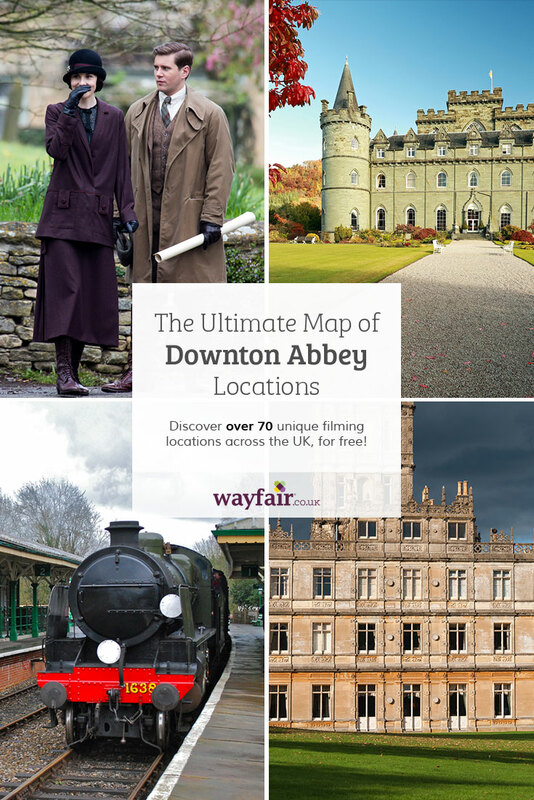 Where Was 'Downton Abbey' Filmed? "Downton Abbey," the beloved series about early 20th century aristocracy in Britain, will take its bow stateside on March 6. Yet we've only featured the centerpiece of the show, Highclere Castle, after all this time. Regretful, but we aim to live by the words of Countess Violet: "Don't be defeatist, dear. It's very middle class." Rather than mope about the short shrift we've given the program, we want to do something more constructive: give you the ultimate map to the Abbey. An exhaustive guide to 'Downton Abbey' shooting locations, compiled by our friends at WayFair. Our friends at WayFair have all the goods here. Marvel at not just 5 or 10, but 70, pins on this amazing map, which comes complete with tidbits on those locations' relevance to the show. So when you feel the inevitable withdrawal blues after the show, you will have this map to tide over your travel bucket list. Now that's the truth tea. Enjoy!